People frequently tell me that they love to read my trading adventures articles and they would like to make money trading but they don’t have the time to learn all the things necessary to be successful at it. 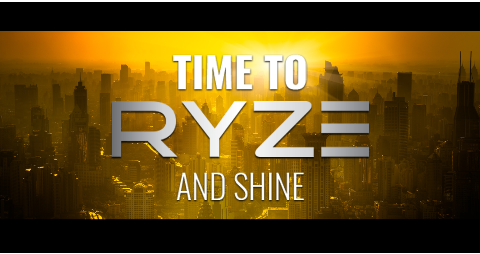 If you are one of those people, there is a fantastic program called RYZE.Ai by Hodo Global. I can introduce you this fully automatic artificial intelligence algorithm, which generates consistent profits, day after day and week after week. For more details, please watch the overview videos, read more of my detailed articles, attend a Thursday evening webinar , check for a RYZE.Ai seminar in your area or send me an email or set up a time to talk to me personally. If you recall, the Daily Swing Trade for yesterday involved the US Dollar / Swiss Franc currency pair. In today’s potential trade we are looking for the price to have one more move downward move and we will place one buy limit order at the first entry point of .97400 and another buy limit order at the second buy entry point at .97130. I am really fond of Swiss Franc trades (translation: they always seem to be profitable for me), so I will place a third buy limit in the middle at .97260. I will put the stop loss orders for all three at .97000. I will put the three profit targets at .97800 and .98400 as shown on the chart below and the third in the middle at .98100. In the morning of the 12th of August, we see that the price has fallen as expected and I have filled all three of my buy limit orders. This trade is off to a good start and I have three positions in profit at the moment. I have raised my stop losses to .97600 for all my positions. There was a big drop during the day on Friday and I was stopped out of all three positions with a total profit of 101 pips. Not bad for less than a day. It is anticipated that a harmonic Gartley pattern is being developed. This is illustrated by the blue pattern shaded in yellow. Before that is established however, we are anticipating one more leg upwards before another move downwards. This is illustrated by the red pattern drawn on the chart. 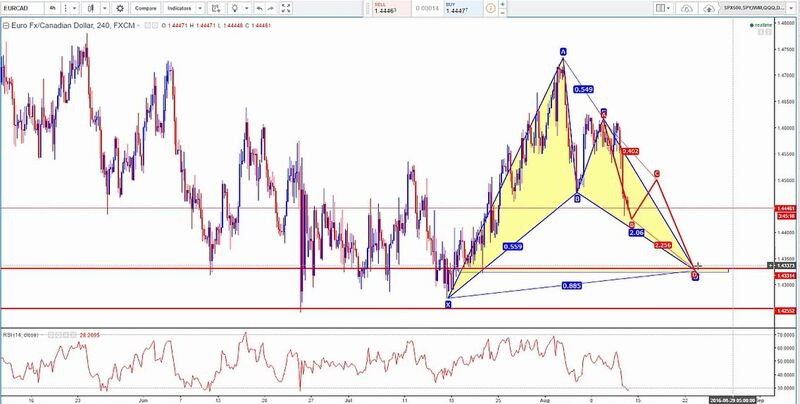 When the price moves down into the price range of about 1.4320 to 1.43280, we could be looking to buy the EURCAD. So, we will be watching this to see how it develops. Many people who have been reading my posts for a while understand that I often like to include some historical facts or some geography into my posts. 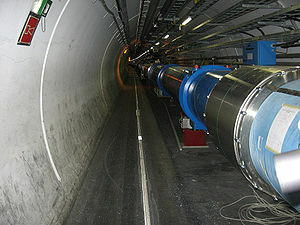 I have actually included a few tidbits related to Switzerland in other articles, but I have not covered the CERN Large Hadron Super Collider before. So in today’s I have included a map and some details about the this huge research tool near Geneva, Switzerland. “The Large Hadron Collider (LHC) is the world’s largest and most powerful particle collider, the largest, most complex experimental facility ever built, and the largest single machine in the world. It was built by the European Organization for Nuclear Research (CERN) between 1998 and 2008 in collaboration with over 10,000 scientists and engineers from over 100 countries, as well as hundreds of universities and laboratories. It lies in a tunnel 27 kilometres (17 mi) in circumference, as deep as 175 metres (574 ft) beneath the France–Switzerland border near Geneva, Switzerland. If you would like to access my wholesale travel deals site, completely free of charge and find great deals to places like Geneva, Switzerland, click on the link below. 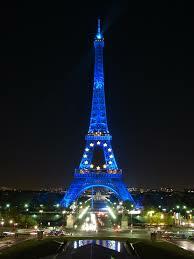 Today we had a profitable Swiss Franc trade, as detailed above at the beginning of this post. If it wasn’t a Friday afternoon, I may have gotten back into this trade once it started to rally again, but there is additional risk in holding a trade over the weekend because the price can have substantial gaps between the Friday close and the Monday open. This can result in larger than anticipated losses, so doing so would have added more risk which I try to avoid. So, today was another profitable day. 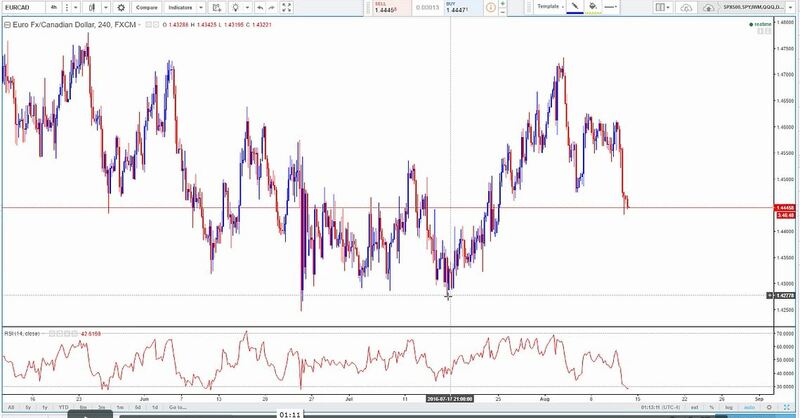 Once again, as always I say at the end of my articles, if you have any questions Forex, currency trading or about RYZE.Ai the fully automated artificial intelligence algorithm that is available by subscription, please leave them for me in the comments section below or email me at xin@FXTradingIncome.com. You can also watch the videos on RYZE.Ai by clicking on the image below. Also. if you have suggestions or ideas how to make my posts more informative for readers, please let me know. This entry was posted in Xin's Trading Adventures and tagged currency trading, Hodo Global, Ryze.ai, RYZE.Ai Seminar, RYZE.Ai Software, Xin Zhang on May 28, 2017 by Xin Zhang.